Calypso Cruise was inspirited by the myth of Calypso which also was represented in the traditional Asian design. “Glamour” and “Grandeur” are best to characterize the Calypso. 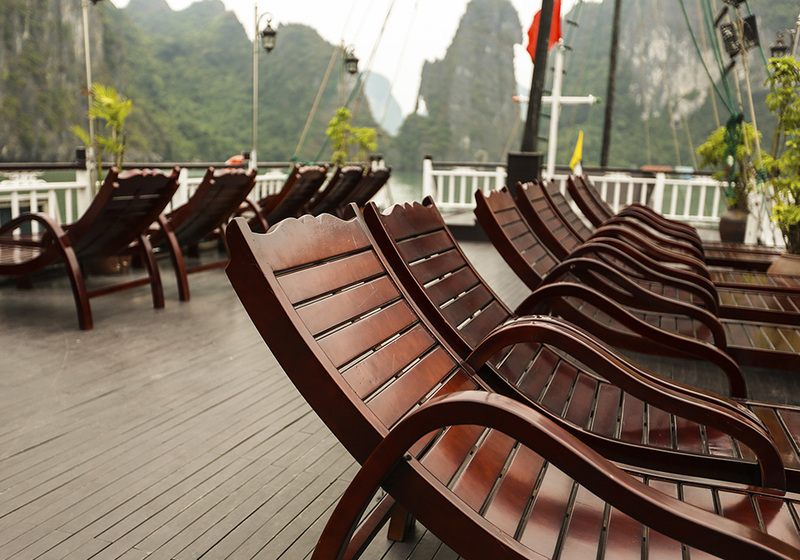 The cruiser presents a luxurious exterior blending with the gorgeous nature of Halong bay harmoniously. Calypso Cruiser features 12 deluxe cabins, all finely equipped and exposed to the widest view of the bay as well as wide range of recreational activities in the spectacular scenery of the Bay of Descending Dragons. It also characterizes a fine dining restaurant and bar on the second deck, which always serves you best food ever like a feast for the senses. 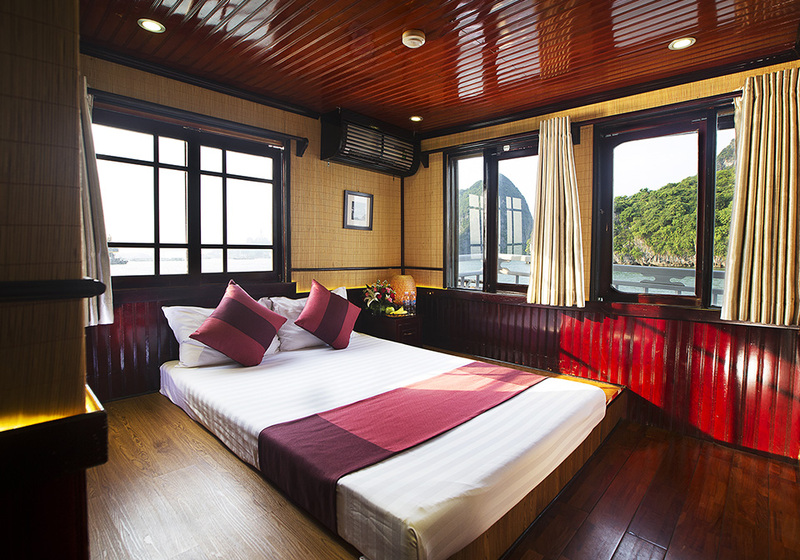 The top deck gives you a panoramic view of splendid Halong bay and let you enjoy the magical moments of a day – dawn and sunset, which promises you unforgettable and thoroughly relaxing moments in your Halong Bay Cruise tour. Moreover, this is a place for different activities like Taichi in the morning, dining at night which will enhance your experiences at magical Halong Bay. 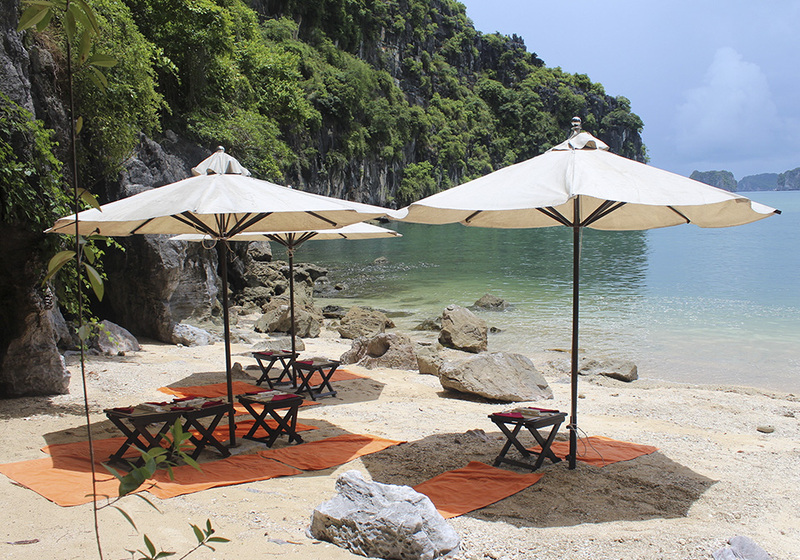 Recreational activities like cave visiting, swimming, kayaking in the emerald water of Halong Bay are integral experience during your time with Calypso. Calypso Cruiser fleet always works hard to commit a prestigious quality of service for guests – a Calypso cruising experience in Halong Bay. 17:30 – 18:00: Return to Calypso Cruiser and have bath then relax as the sun starts to set. Enjoy the Happy Hour at the bar and on the sun deck while cooking demonstration is organizing. 15:30 – 17:30: Transfer back to Calypso cruise. Have dinner and night activities on board.